Work so they can fight! Work so they can fight! by Packer, Office for Emergency Management. Office of War Information. Domestic Operations Branch. Bureau of Special Services, between 1941 and 1945. 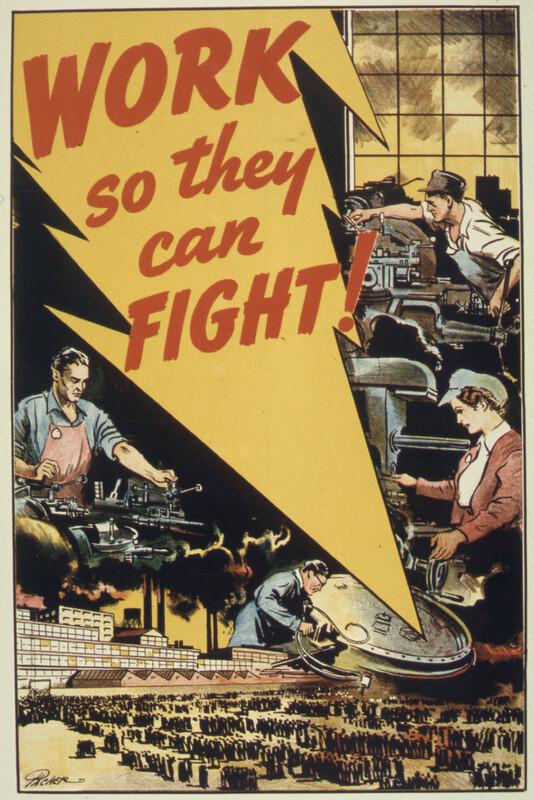 Based on File:"WORK SO THEY CAN FIGHT" - NARA - 516187.jpg, in public domain.